With one successful home-building venture under his belt, Saun Sullivan launched a new firm into the teeth of the great recession. This year the company will deliver more than 700 homes. Four years after receiving an MBA from Tulane University, and five years after entering the land development business in south Louisiana, Saun Sullivan, with some initial reluctance, entered the home-building business as a way to create a more reliable purchaser of developed lots. The year was 2000, and the company he created with business partners Allen Thomason and Jeff Purpera grew to become PCC Home Builders and Provident Homes. By 2005, when Hurricane Katrina delivered a knockout blow to New Orleans and the Gulf Coast, the company had grown to deliver more than 400 homes annually, priced between $90,000 and $230,000. The whole region was seemingly in transit. And PCC’s hometown of Baton Rouge was thought to be the prime beneficiary of that migration. In short order, Baton Rouge was on the radar of the big national builders, including D.R. Horton and KB Home. Sullivan and Thomason sold PCC to D.R. Horton in 2006. He and a few others from the PCC team then proceeded to develop lots for the builder. fundamentally sound, production home-building operation. Today, DSLD has 65 employees, who buy lots, design, sell, build, and close homes in more than 45 neighborhoods and communities around south Louisiana. Initially headquartered above a methadone clinic in a strip mall in Denham Springs, La., about 10 miles east of Baton Rouge, this year the company moved into more spacious, but equally no-frills digs, across town. The company initially bought lots in four neighborhoods in suburban Tangipahoa and Ascension Parishes. From there the company expanded into Lafayette and east toward Gulfport-Biloxi, Miss. The company will likely enter neighborhoods southwest of New Orleans in Houma, La., where buyers are closely connected to the stabilizing petrochemical industry. In 2008 and 2009, the company sold five to six homes per community per month, but as the economy stayed sluggish in 2009 and into 2010, the number of homes sold per month per community slowed to three or four. Doing deals to buy lots in more subdivisions offered a way for the company to continue to grow despite the conditions. 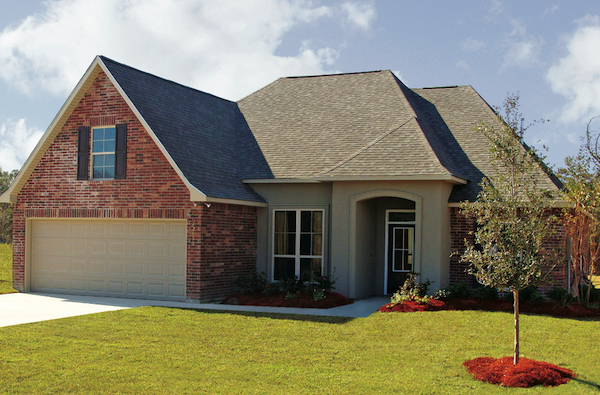 Sullivan believes that the home-building market in south Louisiana had only fallen about 60 percent of the way to its eventual bottom by the time DSLD launched in 2008. The remaining 40 percent came by the end of 2009. Those problems, specifically deals for finished lots not getting done by players who eventually exited the market, eventually became a key opportunity for DSLD. Sullivan and his colleagues came back into the market with an extremely well informed local knowledge of the best neighborhoods, school districts, and other places where homes would sell relatively quickly. They fused that knowledge with a devotion to keeping their word with all of their partners to develop a positive reputation that could eventually become their hallmark. Indeed, DSLD Homes is a direct extension of Sullivan and Thomason’s personal business philosophies. Beyond the developers they purchase lots from, they seek to become preferred business partners with everyone in their circle of colleagues. They pay their trades and suppliers within two business days of delivery. They have a massive warranty operation designed to keep buyers happy. They do not do charge backs to their trades and suppliers. Realtors who bring buyers always get paid a commission, even to the extent of paying Realtors who might have only tangentially affected the sale of a DSLD home. Indeed, much of DSLD’s success to date is a result of keeping their word with Realtors. Their clients who buy DSLD-built homes are generally known to be happy with a 95 percent customer satisfaction rating (willingness to refer). Realtors also know that the company has quickly developed a reputation for standing behind any workmanship, materials, and issues after closing. Like others, you may be left scratching your head about the name of our 2011 Professional Builder of the Year. There is no clear acronym. Nor is there a grand marketing strategy around the humble name DSLD Homes Inc. It links back to some of the remaining assets of the company Sullivan and his partners sold in 2006. The attorney involved in the transaction divided the assets into four LLC entities. The first was called DSLA LLC. This stood for Denham Springs, La., and makes perfect sense as an acronym because the company is based in that town. The remaining assets were put in three other LLC entities — DSLB, DSLC, and DSLD. The last one happened to be the one with the most-needed assets when Sullivan restarted his home-building company. Insurance was listed under this name, etc. Some people have assumed that it stands for Denham Springs Land Development, says DSLD’s Ryan Nash, but that does not work either. The company buys finished lots and stays clear of land development at this time. 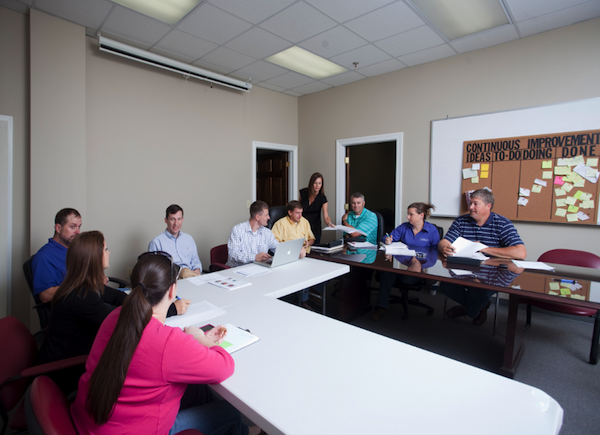 Directly after the warranty meeting ends, DSLD executives stay seated for a second Monday-morning meeting to set the new schedule for the week. Since Day One of DSLD’s existence, the company has committed to, and kept, a strict building schedule (it started with a 50-day schedule, which has been whittled down to 42 days, not including weekends). The schedule starts with framing and ends with a final walk through. So far, the company has delivered all 1,100 homes in its history on time. It has not missed a single delivery date, though completed homes sometimes wait a week or two before closing and client move in. The company’s strict adherence to an “even flow” model, noted several members of the DSLD team, is what allows the company to keep its word with suppliers and trades. Each gets three or four jobs to complete every day. That Monday-morning scheduling meeting locks in where each trade will need to be over the next 42 business days. There is no mystery about where people need to be. Adopting the even-flow system, following in the footsteps of Rayco and the Levitt Companies, was the cornerstone of the company’s strategy when it came back into the market, says Sullivan. slotted for framing that week. That initial meeting comes with a delivery date for each start. Right now, DSLD is running at 17 to 19 starts per week. They do it with a mix of contracted homes sold and speculative homes they usually sell by the delivery date. Foster says he spends most of the day on Sunday reviewing the status of each community — absorption, prices, etc. — before setting the schedule. That afternoon, in a DSLD neighborhood, a driver for 84 Lumber was carefully positioning color-coded framing lumber at one of several newly completed slabs around a meticulously groomed lot. The driver’s entire drop time took less than 15 minutes. And when he was finished, he went into an orange mailbox installed on the lot, took out a review sheet, and graded DSLD on a scale of 1 to 5 on the condition of the lot he encountered. 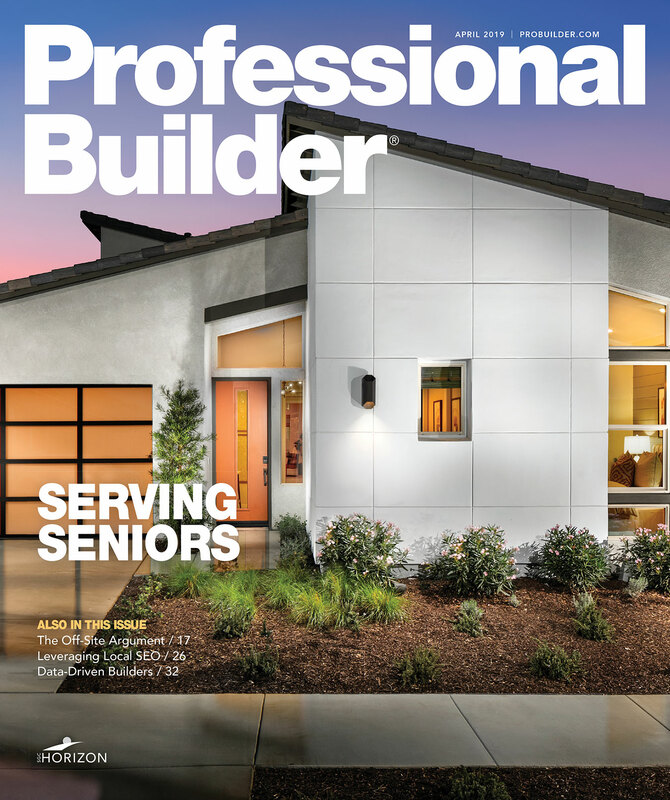 In turn, the framer who comes the next day to start building the home will grade the 84 Lumber driver and DSLD on the completeness of the order and other criteria. These sheets and grades form the backbone of the company’s quality management system. 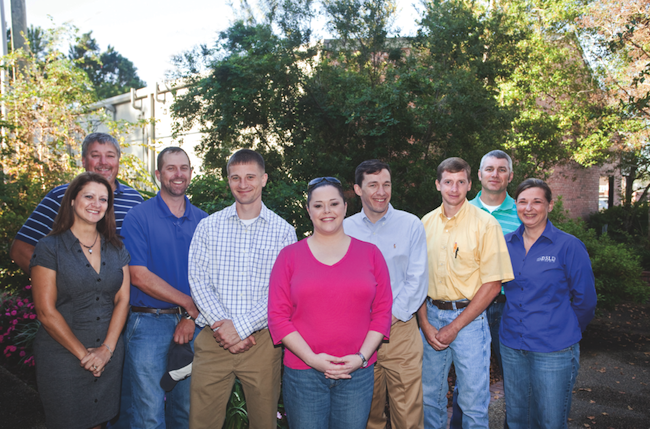 Those quality scores are gathered each day and put into a supplier performance management program (FTQ360), where each trade contractor’s grades are kept, tracked, and analyzed by a recent University of Southern Mississippi construction management and MBA graduate, Ryan Nash, who has been employed by the company since 2009. If a trade contractor’s grades slip from a 4.8 to a 4.3, Sullivan says they are asked to a “counseling” meeting where they hope to sort out the reason for the change and to help them get back on track. Trades whose grades do not improve see less work, while others whose grades remain high pick up the extra work. Having studied the root causes for customer dissatisfaction, and knowing that a messy jobsite is among the top reasons that clients get sideways with builders, DSLD is relentless in its demand that all personal garbage be carted off by each trade at the end of the day. Those orange mailboxes on each lot contain trash bags, along with the quality scoring sheets. Twice during an afternoon on several different jobsites, Sullivan and Nash opened orange mailboxes to pull out fresh trash bags to collect unwanted refuse. Nash and others at the company constantly update scopes of work for each trade and supplier. If a particular type of flashing is used, a scope of work specifies the number and kind of fasteners, along with the way it should be installed. This information is gathered from product manuals, meetings with trades, and consultations with building product manufacturers. If code says three or four fasteners can be used to do a job, the company will take the mystery out of the decision and specify one way to complete the job. One-page scopes of work with photos and diagrams are continually updated and sent out to the affected trade contractor or supplier. The goal, says Sullivan, is to ultimately make a better house, with fewer warranty issues for the company to correct. In a way, the specificity on each scope of work is a trade off for each trade contractor to accept in lieu of the benefit of never having a charge back from the company. By creating good partnerships with trade contractors, Realtors, and in every other part of their business, three-year-old DSLD behaves as if there remains for them a lot to prove to themselves and the market. When asked when the company will begin to feel more secure with its place in the market, Sullivan indicates that that day is still way out on the horizon.